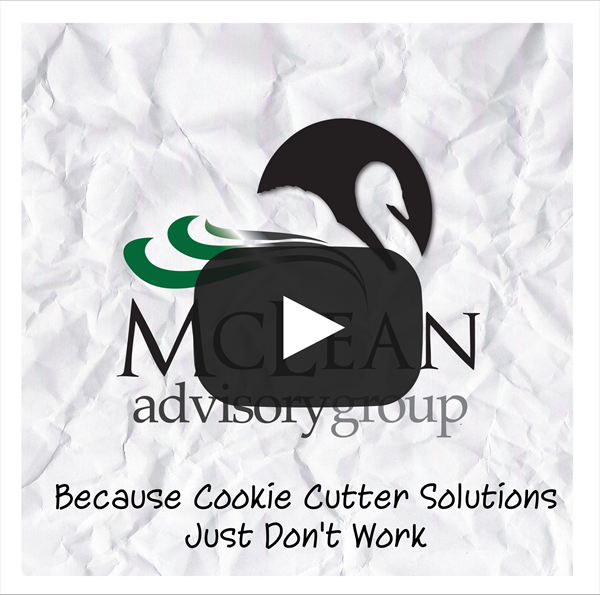 McLean Advisory Group offers free financial reviews. Call 609-489-5200 to learn more about the financial checkup or to schedule your appointment. We all hope to live to an old age, but a longer life means that you'll have even more years of retirement to fund. The problem is particularly acute for women, who generally live longer than men. To guard against the risk of outliving your savings, you'll need to estimate your life expectancy. You can use government statistics, life insurance tables, or life expectancy calculators to get a reasonable estimate of how long you'll live. Experts base these estimates on your age, gender, race, health, lifestyle, occupation, and family history. But remember, these are just estimates. There's no way to predict how long you'll actually live, but with life expectancies on the rise, it's probably best to assume you'll live longer than you expect. Review your portfolio regularly. Traditional wisdom holds that retirees should value the safety of their principal above all else. For this reason, some people shift their investment portfolio to fixed income investments, such as bonds and money market accounts, as they enter retirement. The problem with this approach is that you'll effectively lose purchasing power if the return on your investments doesn't keep up with inflation. While it generally makes sense for your portfolio to become progressively more conservative as you grow older, it may be wise to consider maintaining at least a portion in growth investments. Spend wisely. You want to be careful not to spend too much too soon. This can be a great temptation, particularly early in retirement. A good guideline is to make sure your annual withdrawal rate isn't greater than 4% to 6% of your portfolio. (The appropriate percentage for you will depend on a number of factors, including the length of your payout period and your portfolio's asset allocation.) Remember that if you whittle away your principal too quickly, you may not be able to earn enough on the remaining principal to carry you through the later years. Understand your retirement plan distribution options. Most pension plans pay benefits in the form of an annuity. If you're married, you generally must choose between a higher retirement benefit that ends when your spouse dies, or a smaller benefit that continues in whole or in part to the surviving spouse. A financial professional can help you with this difficult, but important, decision. Consider which assets to use first. For many retirees, the answer is simple in theory: withdraw money from taxable accounts first, then tax-deferred accounts, and lastly, tax-free accounts. By using your tax-favored accounts last and avoiding taxes as long as possible, you'll keep more of your retirement dollars working for you. However, this approach isn't right for everyone. And don't forget to plan for required distributions. You must generally begin taking minimum distributions from employer retirement plans and traditional IRAs when you reach age 70½, whether you need them or not. Plan to spend these dollars first in retirement. Make sure your income plan is secure and fit for you, not just the same cookie cutter solution!